Where a software component is updated or replaced regression testing is required. Regression test sets can contain considerable redundancy. This is especially true in the case where no formal regression test set exists and the new component must instead be compared against patterns of behaviour derived from in-use log data from the previous version. Previous work has applied search-based techniques such as Genetic Algorithms to minimise test sets, but these relied on code coverage metrics to select test cases. Recent work has demonstrated the advantage of behaviour inference as a test adequacy metric. 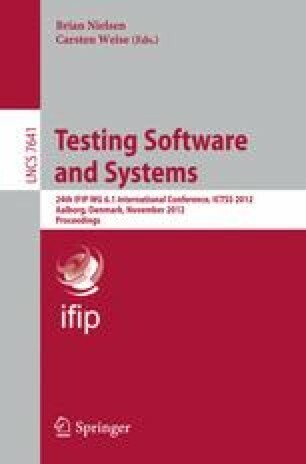 This paper presents a multi-objective search-based technique that uses behaviour inference as the fitness metric. The resulting test sets are evaluated using mutation testing and it is demonstrated that a considerably reduced test set can be found that retains all of the fault finding capability of the complete set.